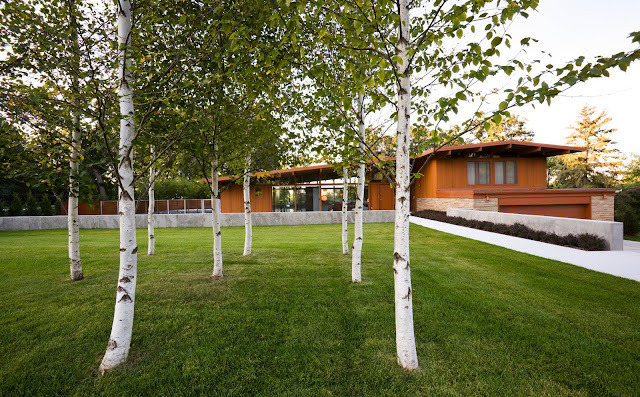 This California modernist style home located in the Highland Park neighborhood of St. Paul, Minnesota was designed by local architect James H. Speckman (1918-2011) in 1956. Click pictures for a better view! 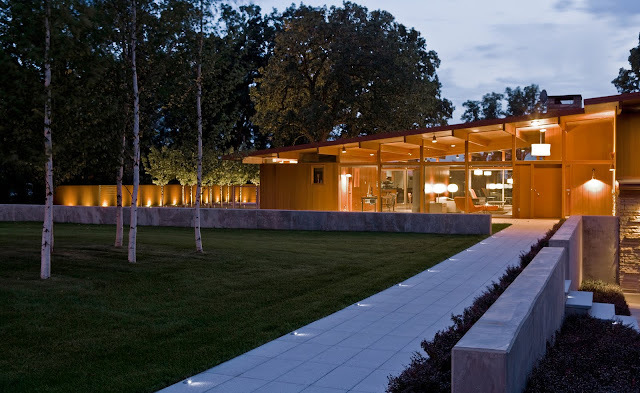 I wish I could find more images of this stunning home, especially some interior shots, but after searching for an hour or so I decided to call it quits. Nevertheless, I thought these photos taken by Paul Crosby, alone warranted a post. 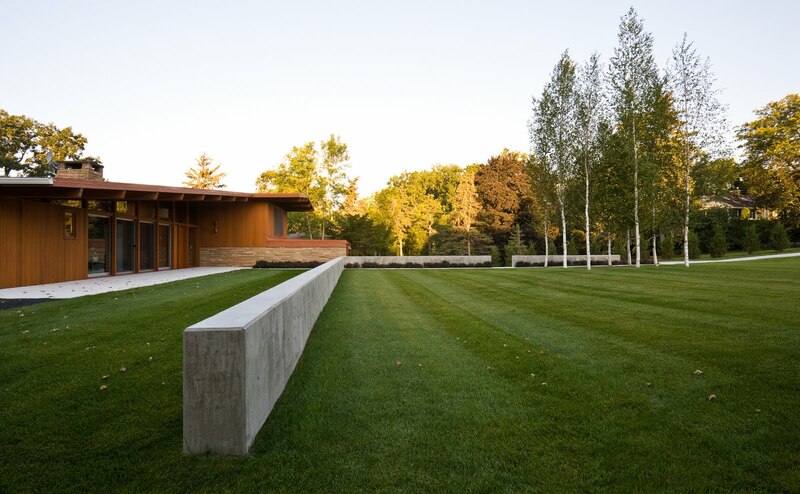 The images were taken for the landscape architecture firm of Coen + Partners of Minneapolis, who received an Honor Award from the American Society of Landscape Architects in 2009 for their work on the home. Read more about it here and here. Very nice but too much lawn. If it were my place (dream on!) I would carry the native restoration theme to the whole site. I think this house is featured in the newest Atomic Ranch Magazine, but I can't recall if there are many interior photos.. Thanks for the info. I will have to go pick one up.